The Listing Worksheet is the main driver for showing. Without basic showing instructions, showings cannot take place. 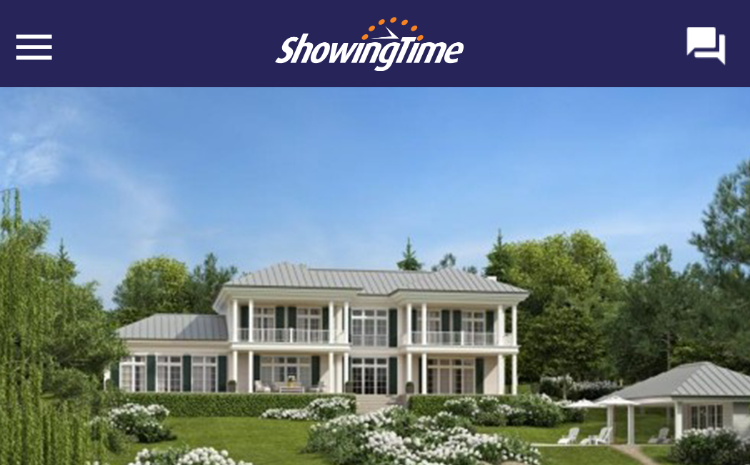 When a listing worksheet has been properly configured it requires minimal updates and provides a solid basis for how showings will take place. Listing Photos are imported from the MLS but may be manually updated. In order to update your listing's photo you will need to open the listing worksheet for that listing on the desktop version. A brief summary of your listing details, this includes the address, listing price, MLS status, and MLS number. 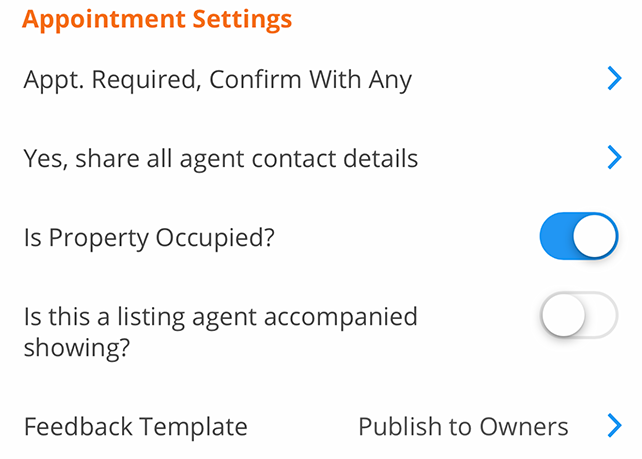 This contains options to configure your listing's appointment type, occupancy, and which feedback request template should be used. This section allows you to add or edit contacts and their contact methods, as well as manage their notification preferences when appointments are scheduled and when appointments have been confirmed or canceled. 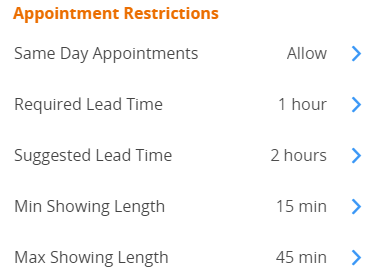 This section allows you to edit required and suggested lead times as well as max appointment length options. This section allows you to choose your preferred appointment handling when agents are scheduling on your listing and an appointment already exists for that time slot. This section allows you to add, edit, or manage exceptions and restrictions for your listing. This section allows you to edit access details, ranging from lockbox to alarm information. Any notes that need to be directed to the appointment center staff or to the showing agent after the appointment has been confirmed. Includes options to edit driving directions which were imported from the MLS and additional advanced options which aren't usually configured on a daily basis. This contains all the available feedback templates that you have configured or your office has configured and made available for your use. Allows you to add a Seller, Tenant or Co-Listing Agent to your listing. Agents will only be available if they are located in the same office. Required Lead Time is a lead time which will prevent appointments from being scheduled if the requested appointment falls within that lead time. Suggested Lead Time is a lead time which will allow appointments to be scheduled, agents scheduling will be notified that the owner or occupant prefers the time set but it will not inhibit appointments from being requested if the requested time falls within that lead time. Allows you to add a new showing restriction to your listing. For additional information pertaining to showing rules, please go to the section below. This option should be turned to Yes if keys for the building are not located at the listing itself and are located at the listing office or a remote location. Agents who have scheduled appointments through the Appointment Center will have a key reserved when scheduling, if a key is available. These switches control whether or not you would like the Appointment Center to handle Inspections or Appraisals. If either of these switches has been set to No then anyone trying to schedule that type of appointment will be referred to contact the listing agent associated to the listing.